Holle’s Organic Nursing Tea naturally helps you breastfeed for longer. Its gentle herbs boost your milk supply and make breastfeeding your baby a happier, easier and more rewarding experience. The special mix of aniseed, fennel, caraway and lemon balm come from certified organic agriculture and are recommended to help breastfeeding and increase milk supply. Pour approx. 200 ml of fresh, boiling water over tea bag and allow to infuse for 5-10 min. It is recommended to drink 3-6 cups a day. 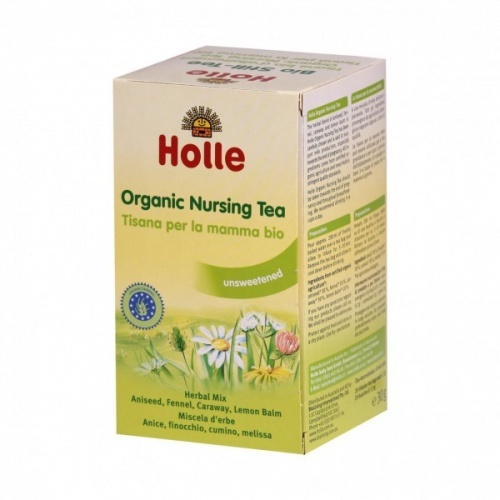 Holle Organic Nursing Tea can be used towards the end of pregnancy and throughout breastfeeding. Start with a lower dose and increase if necessary after several days. Experience shows that most mums benefit from taking 4 cups in a day for several weeks either side of giving birth. The tea can also be taken throughout breastfeeding, and is especially good to help establish a regular milk supply in the initial months after birth. Should you fear or experience a further difficult period of low milk supply, please remember that you can safely temporarily increase the dosage per day. Aniseed* 30 %, fennel* 30 %, caraway* 30 %, lemon balm* 10 % *from biodynamic farming. 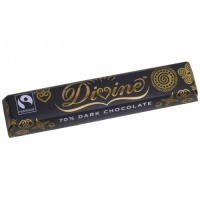 Gluten-free, unsweetened, no artificial flavours, colours and preservatives. Holle makes organic baby food in Demeter quality. The company was founded in 1933 and has uncompromisingly rejected chemical processing and preservatives from the very beginning. This year they are celebrating their 80th anniversary. My partner and me couldn't believe in the Irish market the difficulty to source herbal tea for Mothers . Holle is a brand she is familiar with from Europe where she is from and we have used other of this brands products for the baby. The teas are high quality and natural but priced competitively. So if a mummy is looking for a great natural tea. Highly recommended @ earthmother. Baby 10 months now, all products we purchased 5 stars and great customer service. I'm not really a hot drink drinker so don't drink this that often but when I do its lovely, very mild taste not overwhelming like some herbal teas. I love aniseed and fennel, and this tea is nice and strong, so I'm loving it. At the moment I'm mixing it with my pau d'arco tea (which does not taste so wonderful), because the nursing tea's lovely flavour masks the pau d'arco well.